As a licensed vocational school, Veteran Adjusting School trains you to become a complete insurance adjuster. With the focus on Catastrophe (CAT) Adjusting, when you graduate from the VAS Trained Insurance Adjuster Program, you are ready to begin your exciting new career whether as a daily adjuster or as a CAT adjuster. By interviewing the policyholder and inspecting property damage the adjuster can determine how much money the company should pay for the loss. The information gathered—including photographs and statements, either written, or recorded audio or video—is set down in a report that is then used to evaluate the claim. When the policyholder’s claim is approved, the claims adjuster negotiates with the policyholder and settles the claim. Catastrophe Adjusters or CAT Adjusters are a particular breed of insurance adjuster. They typically work six to nine months a year from March to November throughout the storm season. They assess damages in a particular area and then move on to the next storm location. They work long hours and usually 7 days a week throughout the season. A catastrophe adjuster can easily gross $100,000.00 or more in a season. For decades the CAT industry has been a fairly closed “good ole boy” network where a CAT adjuster may train his friends or family and helps bring them into the business. Rarely does someone see a catastrophe on TV and think they want to go there and make money. It is for this reason that Veteran Adjusting School was created. 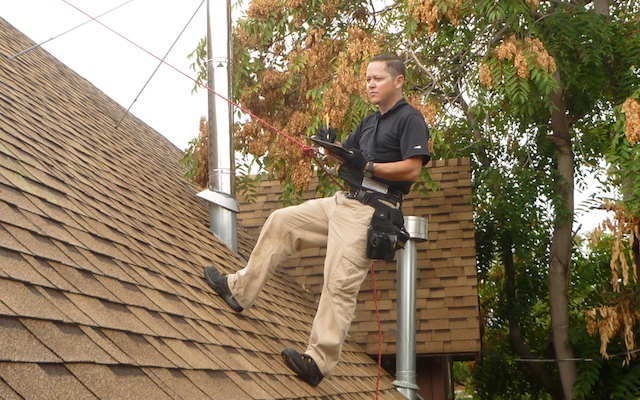 Our mission is to help provide the best trained adjusters in the industry. 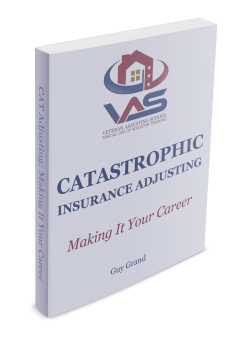 Learn more about CAT adjusting in our eBook Catastrophic Insurance Adjusting – Making it Your Career written by our co-founder, managing director and master adjuster Guy Grand. Click here to speak with one of our enrollment specialists today!